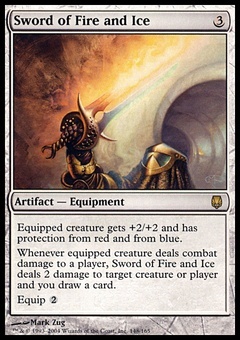 Subversion ($0.76) Price History from major stores - Urzas Legacy - MTGPrice.com Values for Ebay, Amazon and hobby stores! 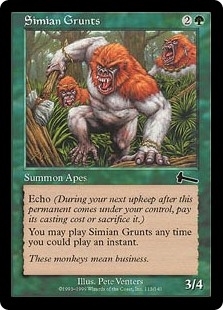 Card Text: At the beginning of your upkeep, each opponent loses 1 life. You gain life equal to the life lost this way. 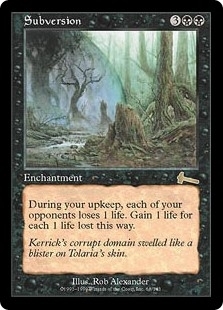 Flavor Text: Kerrick's corrupt domain swelled like a blister on Tolaria's skin.